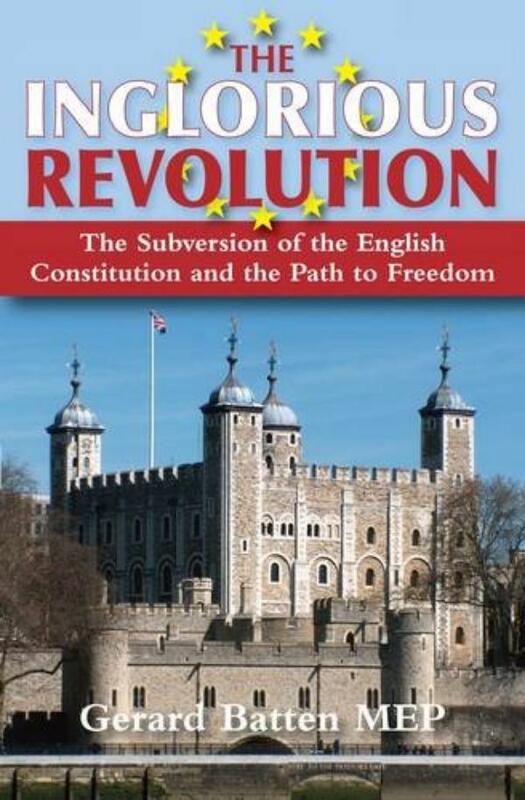 How membership of the European Union has subverted the English Constitution and how the people can set themselves free. In this readable and accessible book, leading UKIP politician Gerard Batten looks at the constitutional issues surrounding Britain’s membership of the European Union. With an increasing number of politicians calling for a referendum on EU membership, Batten sketches in the background to the issue and explains the legal and constitutional steps necessary for Britain to leave the European Union. And it is not as simple as many make it seem. By careful reference to historical and legal precedents, Batten explains the way in which the European Union has established a grip on the constitution of Britain. He gives examples of how British authorities have been outflanked by the EU bureaucrats, bending British constitutional law to suit the mandarins in Brussels. Finally Batten explains the constitutional path to freedom from the EU, and the pitfalls that lie by the way. Although dealing with a serious subject and at times straying into the densest thickets of obscure constitutional law, Batten manages to explain everything in a clear and easily understood way.